Researchers at Yale University have developed an ultra-thin coating material, based on graphene oxide, that has the potential to extend the life and improve the efficiency of lithium-sulfur batteries. The newly developed material is a dendrimer-graphene oxide composite film, that can be applied to any sulfur cathode. The researchers state that sulfur cathodes coated with the material can be stably discharged and recharged for more than 1,000 cycles, enhancing the battery’s efficiency and number of cycles. In addition, they said “the developed film is so thin and light it will not affect the overall size or weight of the battery, and thus it will function without compromising the energy and power density of the device”. The Yale team made its discovery by combining the properties of two material components - the mechanical strength of graphene oxide with the ability of a dendrimer molecule to confine lithium polysulfides. 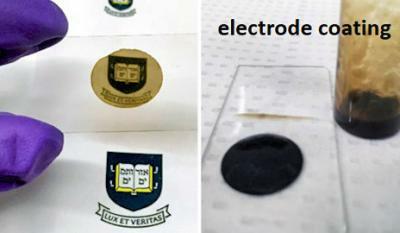 This resulted in a gel-like slurry that can be readily coated as a 100-nanometer-thin film onto sulfur electrodes.